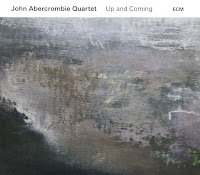 John Abercrombie is a master of dynamics, his masterful use of quiet introductions and spacious melodies hightens the impact of every note and modulation. Abercrombie began laying out his musical vision in his late 70's/early 80's quartet, whose recordings were re-released as a box set a few years ago by ECM, and most of his recent efforts follow suit in terms of hushed tones and lyrical playing. On Up and Coming, Abercrombie has assembled what seems to be his choice instrumentation with players Marc Copland on piano, Drew Gress on double bass, and Joey Baron on drums. This ensemble of musical veterans knows how to work the subtlety of Abercrombie's music, effortlessly building the dynamics and tension. The quiet of the opening track 'Joy', is followed by the hushed intensity of 'Flipside', driven by Baron's insistent but light percussive push. Copland's comping is sparse and perfect, dropping bright chord tones into the guitarist's solo. When the two come together, their interplay is masterfully timed. On the later track 'Silver Circle', Abercrombie lets some of the more intense aspects of his playing come out. As artfully crafted as the other tunes, but also a welcome contrast to the lusher moments. An absolute highlight of last month for me was catching a solo set of guitarist Ralph Towner at a rare appearance in NYC. The guitarist, known for his work with the band Oregon, has had a long and fruitful recording career with ECM, including two duo recordings with John Abercrombie, Sargasso Sea (1976) and Five Years Later (1982). My Foolish Heart is an intimate solo recording - his first in over a decade - and showcases his compositions and playing with the pristine sound and production that the label is famous for. 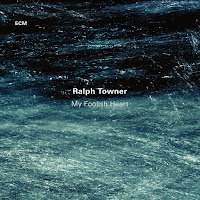 Towner's playing is a perfect blend of sophistication and irreverence to genre. Not really jazz, certainly not free jazz, and not classical either, his compositions live comfortable between and outside of categorization. On the opener 'Pilgrim', a gentle counterpoint melody flows fluidly from his fretboard, the inviting melody is followed by more tense phrases, interspersed with improvised lines. 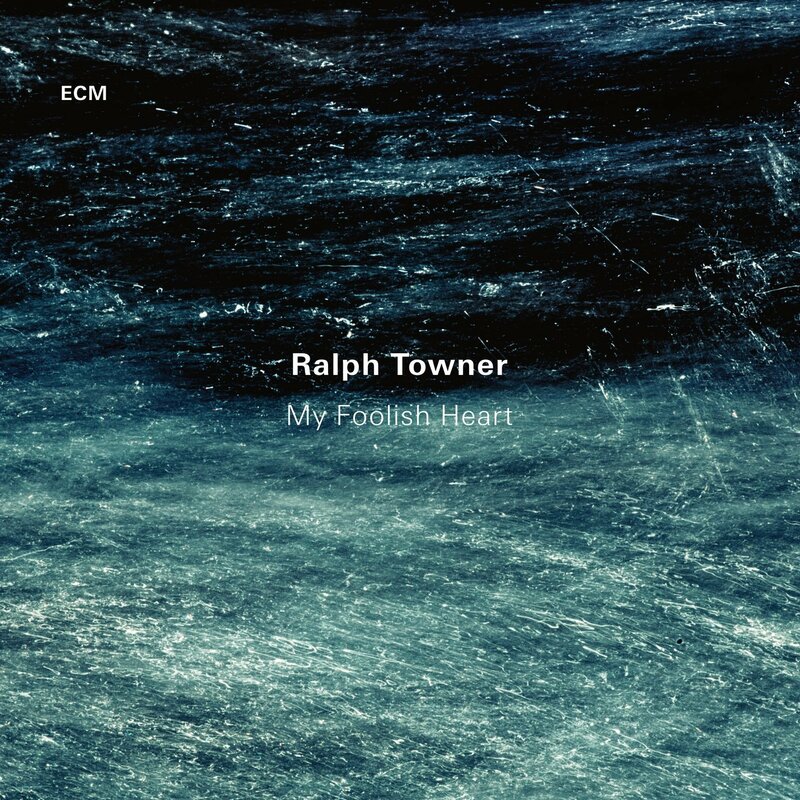 The title track 'My Foolish Heart', a tribute to pianist Bill Evans, is rendered in a heartfelt arrangement that makes an astounding use of the guitar, Towner's six strings sound as rife with musical possibilities as if it were a piano. In concert with the piano theme, mention should be made of the Towner penned tune 'Blue As in Bley', a tribute to the influential pianist who passed away last year. It is a sumptuous flamenco-tinged song that oozes emotion. A video of Towner and Abercrombie from the 1970s - please note, this has nothing to do with either of these recordings, per se.